Passiflora Mollissima – such a gorgeously romantic sounding name that I thought it would be the perfect choice for Valentines Day! 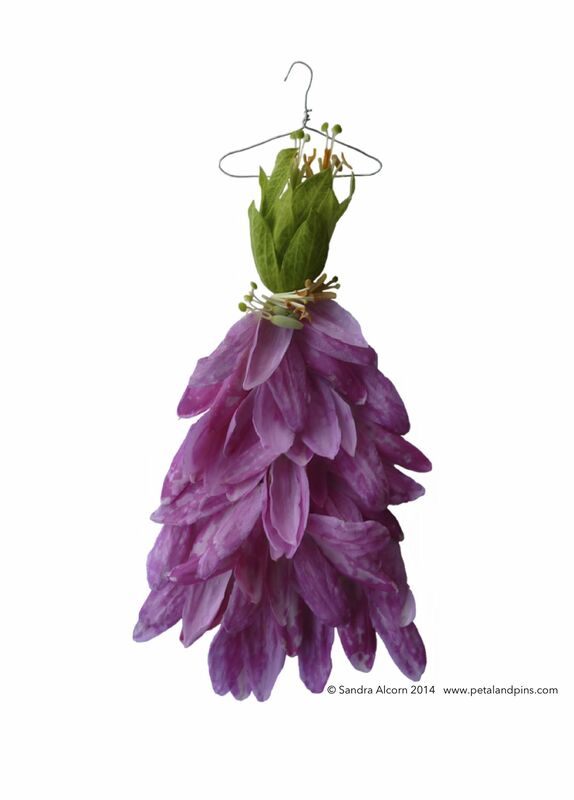 This Garden Fairy’s Wardrobe design is from a collection I’ve created using passionfruit flowers. I have picked them from vines draped over fences – just like the morning glory in the lane way on my morning stroll with Mademoiselle Agnés. Other designs using passionfruit flowers are in my ‘Pretty In Pink’ and ‘Passion & Glamour’ posts. Wow how gorgeous! What were the others called?